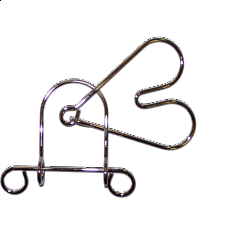 Heart Breaker Remove the heart shapeManufactured with nickel plated wire, which gives out a clean and smooth surface. 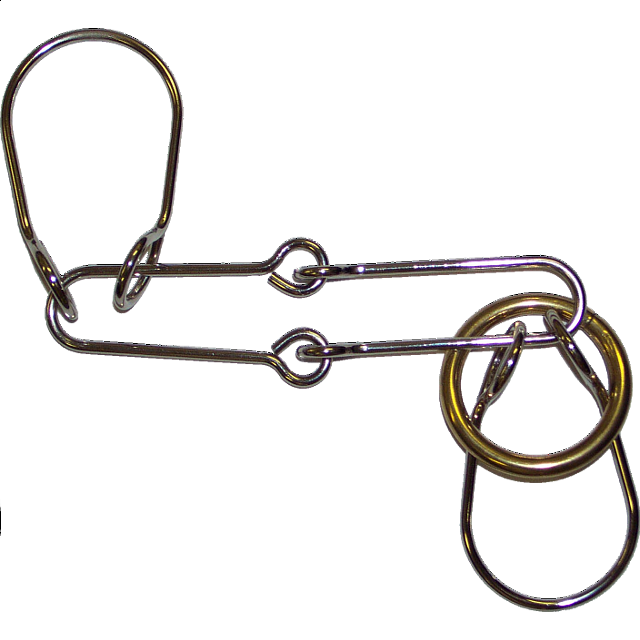 The object is to separate both metal parts and be able to entangle them again. 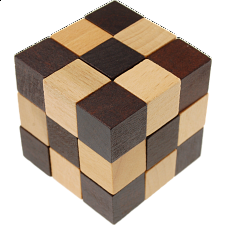 This puzzle is especially recommended for beginners, since it only requires a couple of moves that are very easy to learn. The skills acquired with these easier puzzles will greatly improve your chances at solving progressively harder ones. The puzzle is from our own brand, PuzzleMaster, and it’s our version of Tucker-Jones House Tavern Puzzle Collection, the Iron Heart. 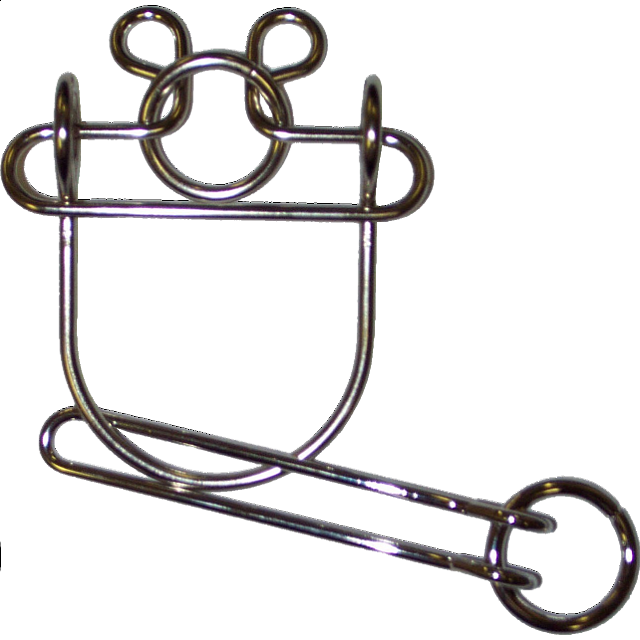 Handcuffs Remove the RingMade from nickel plated wire, which leaves no metal smell in your hands like other metal puzzles do, the goal is to simply remove the ring from the cuffs and then return it to its original position. No bending or extra force needed. 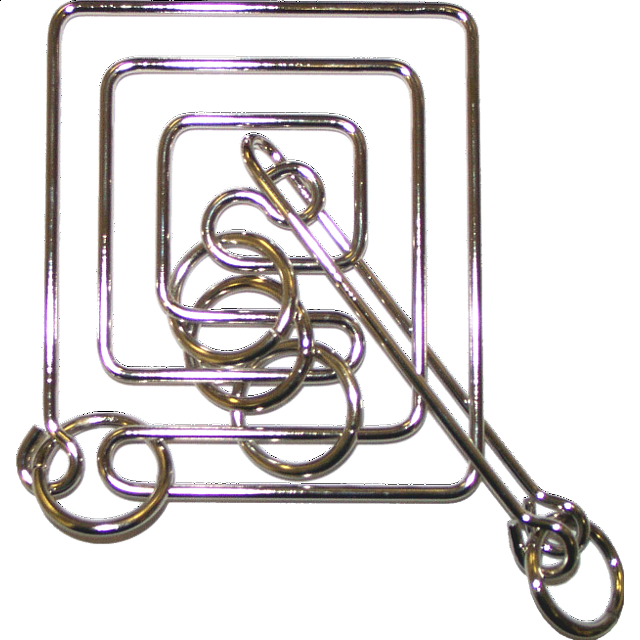 The Handcuffs is a classic example of a puzzle that looks impossible to solve at first glance, but has in fact a very simple solution method. 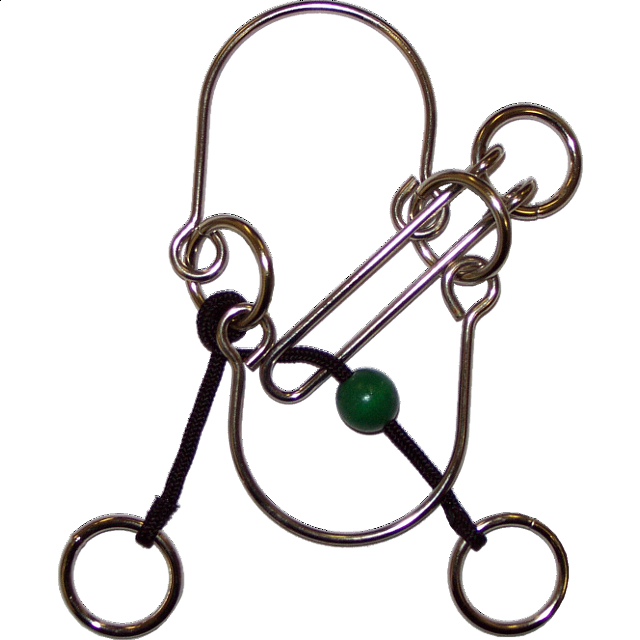 The design is inspired by the Horseshoe Puzzle, one of the most recognizable metal puzzles of all time. Handcuffs is from our own brand, Puzzle Master, of wire puzzles and comes in a reusable clam shell packaging, ideal for storage. 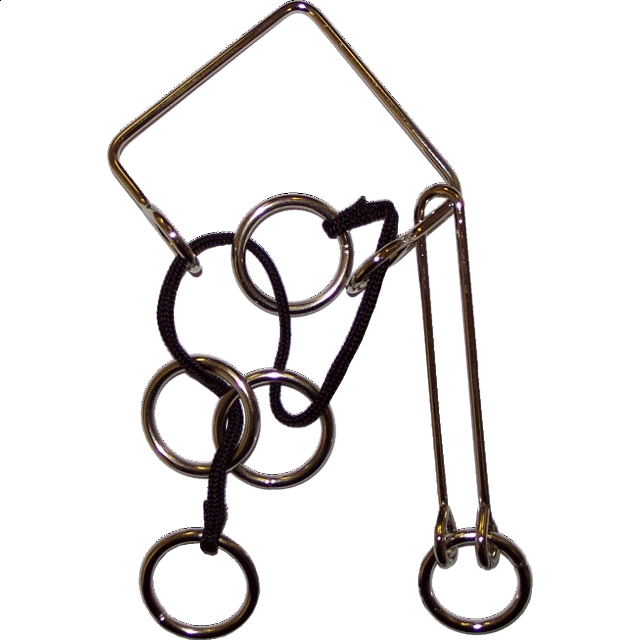 Iron Maiden Remove the ring.Our version of the Tavern Puzzle Iron Maiden made from high quality nickel plated wire. Can you remove the golden ring from the frame and put it back again? This one is recommended for beginners since it only requires a couple of simple moves to solve. 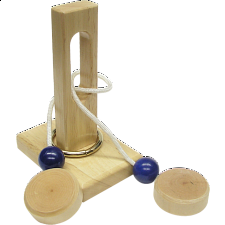 The solution is very similar to the classic Horseshoes Puzzle. From our PuzzleMaster Wire Puzzle collection. A Puzzle Remove the handle off of the frameNickel plated wire is perfect for this type of puzzles, since it has a smooth surface that makes it easier to manipulate, it’s strong and doesn’t leave that characteristic metal smell in your hands. 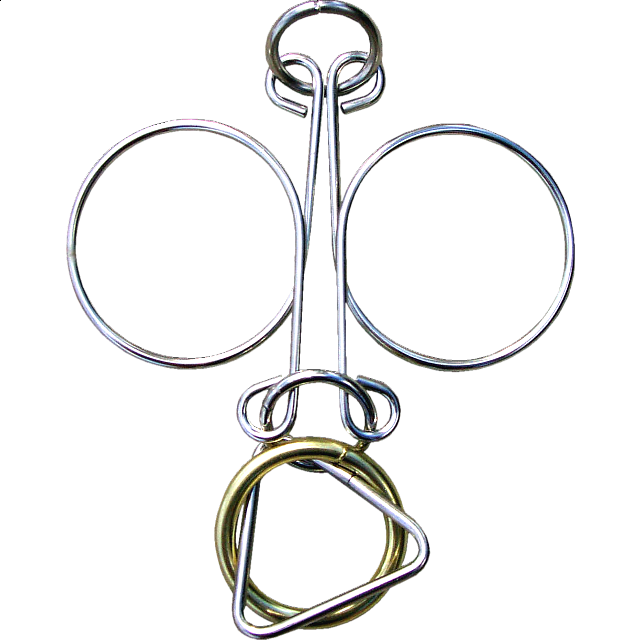 With only two distinct pieces, the object is to remove the handle from the A shape and then return it to its original position. 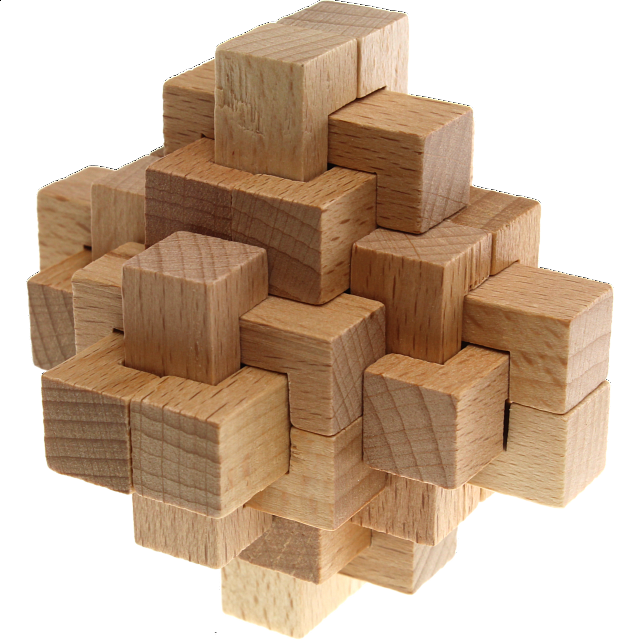 The puzzle has an intermediate difficulty level, ideal for beginners that want to tackle harder challenges. 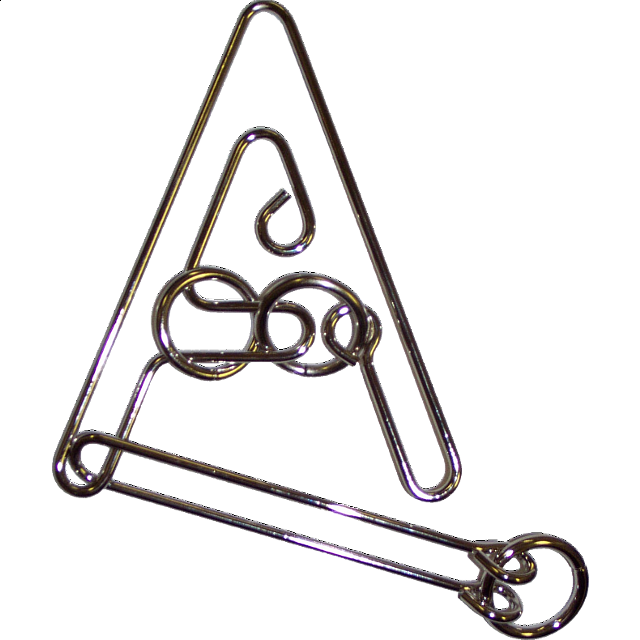 This is our own brand of wire puzzles, PuzzleMaster. We also have two other letter-shaped puzzles, The Silent E and Blue Knight. Lion's Lair Remove the ringBe careful when entering this Lion’s Lair. 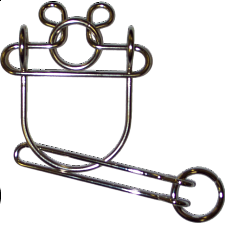 Made with high quality 3mm nickel plated wire, the Lion’s Lair can be a challenging puzzle for beginners and experienced puzzlers alike. 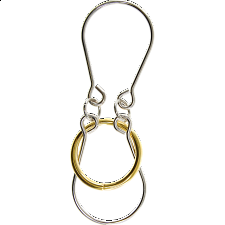 The goal is to remove the golden ring and be able to return it to its starting position. 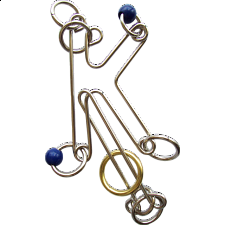 The design of the puzzle is quite unique for our wire puzzles and to solve it you need to make use of its unusual features. The Lion’s Lair is from our ever growing PuzzleMaster Wire Puzzles collection. 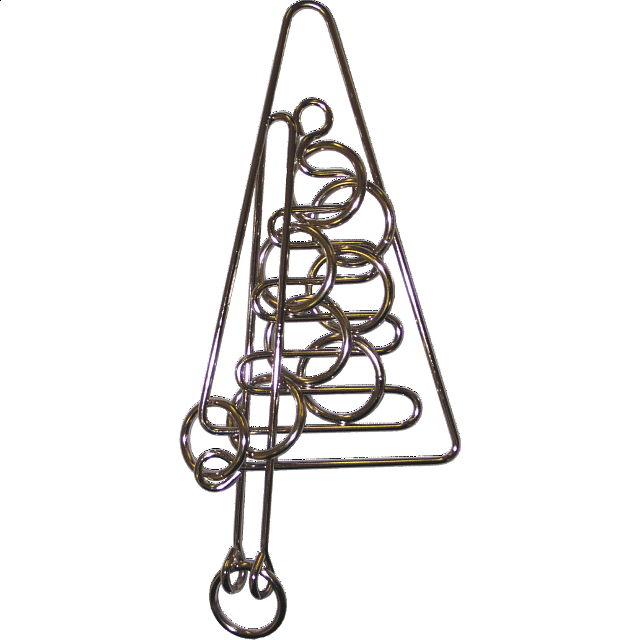 Jester Remove the ringNickel plated wire is the material of choice for our Wire puzzles range. 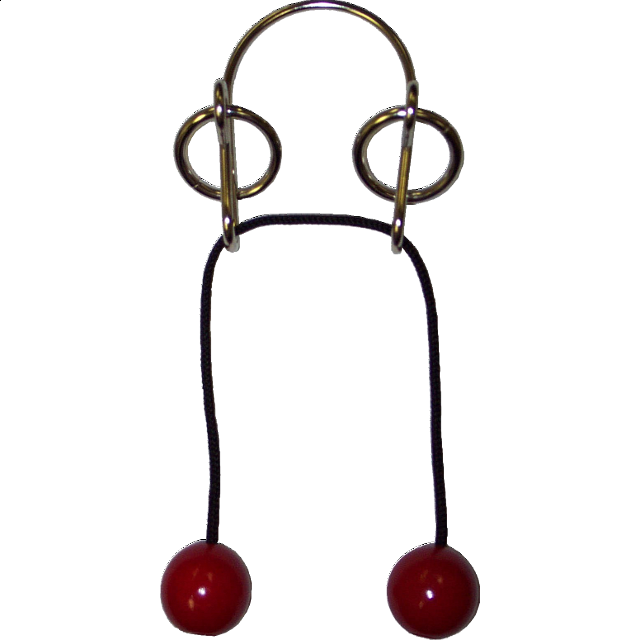 The goal of the Jester is to be able to remove the golden ring from the wire frame and put it back again. The simple symmetric design is very elegant and unique, which is something its solution also shares. 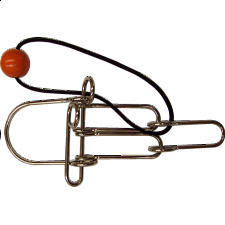 The Jester is from our own brand of metal puzzles, PuzzleMaster, and it comes in a nice reusable clam shell packaging. 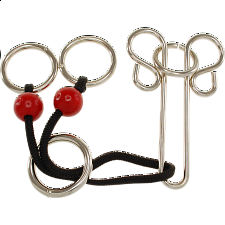 Beetle Bug Remove the HandleThe Beetle Bug is made from nickel plated wire, which gives the puzzle a clean and polished look. Your task is to remove the handle and then put it back in its original position. Sounds easy, but it’s actually quite challenging, even though the solution has only a few steps. There’s a much larger version of this puzzle, about twice its size, the Lady Bug. The Beetle Bug is from our brand of Wire puzzles, PuzzleMaster. Comes in a clam shell packaging, reusable and easy for storage. The Rack You may be "rack"ing your brain for some time before you solve this one. 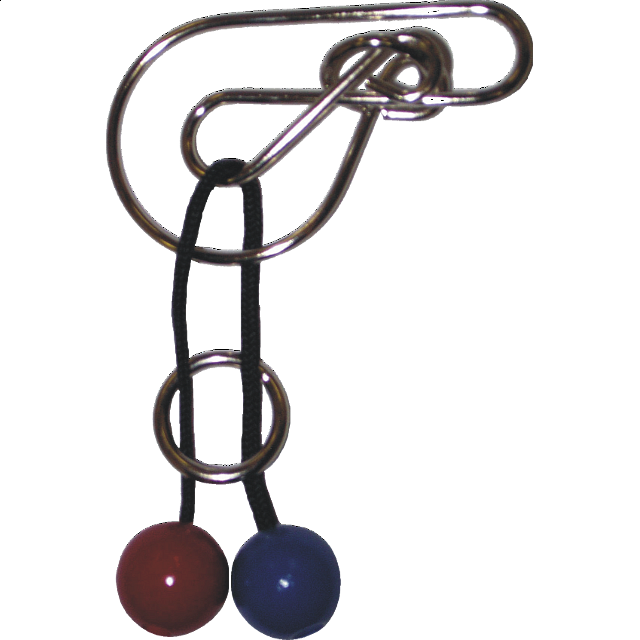 The string does come off with the beads still attached.Our puzzles are made from 3mm nickel plated wire giving it a smooth and polished look. With The Rack, your task is to simply remove the string from the wire frame without detach the beads. As a difficulty rating of 8/10, you’ll find its solution more complex than its design appears to be. The Rack is from our wide selection of PuzzleMaster Wire Puzzles and comes in a convenient clam shell packaging, perfect for storage. Tower of Hanoi To move the tower from one post to another postThe game called the Towers of Hanoi was invented by the French mathematician Edouard Lucas in 1883 and since then it has been both a popular puzzle and a well-known mathematical problem that is an excellent illustration of the general concept of recursion. This puzzle is known by most mathematicians and a very large number of people who like either puzzles or elementary mathematical problems. 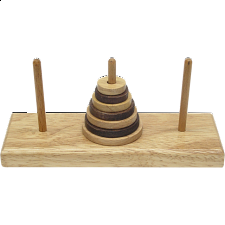 The problem is that you have to move the wooden circles from one to another without placing a larger piece on a smaller piece. Sounds easy enough until you try it. 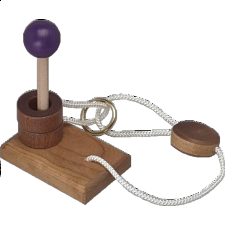 Eureka Remove the ringThis is one of our original wood puzzles that we began producing over fifteen years ago. 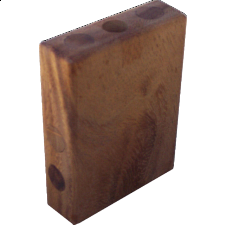 It still proves to be one our better selling wood puzzles. Wedding Vows Shift the rings togetherJust like two people brought together at a wedding, the 2 rings must be brought together on the same loop. We leave you with this riddle: something old, something new, something borrowed and something blue. Can you apply this riddle to the Wedding Vows? Scorpion Be careful not to wake the Scorpion lest he catch you in his grasp. The key is the ability of the Scorpion to fold its tail.This nickel plated wire Scorpion has a sting hard to escape from. Can you tame it by removing the large ring at the center? 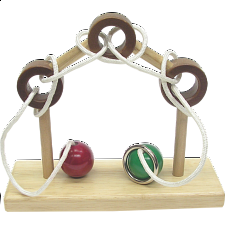 String and wire puzzles are difficult to solve due to their proclivity for knots, so be careful not to tangle the string too much. 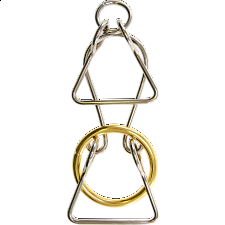 The other rings are too large to pass through the main ring, therefore a different strategy is needed to solve the puzzle. When you’re done try to put the ring back in its original position. An intriguing puzzle that’s hard to solve, but with a great sense of accomplishment. 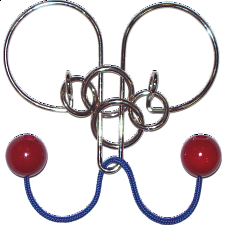 From our collection of PuzzleMaster Wire Puzzles. 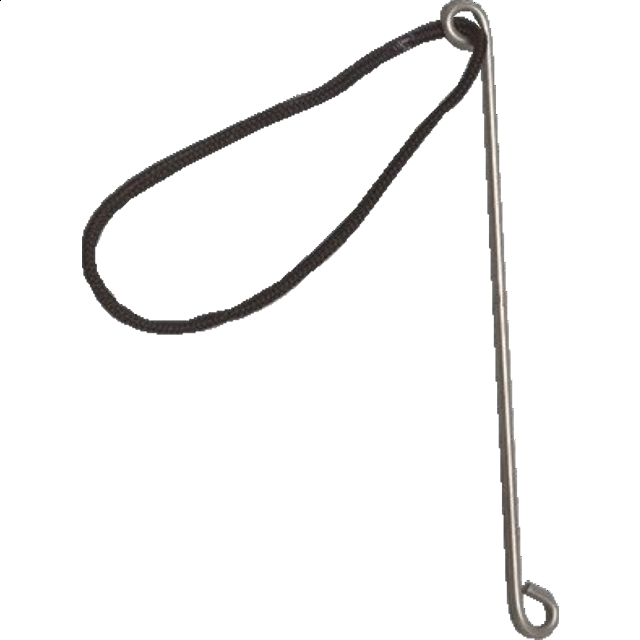 The Silent E Remove the ringThe Silent E is made from our high quality nickel plated wire, which makes for a smoother surface and it’s easier to handle. 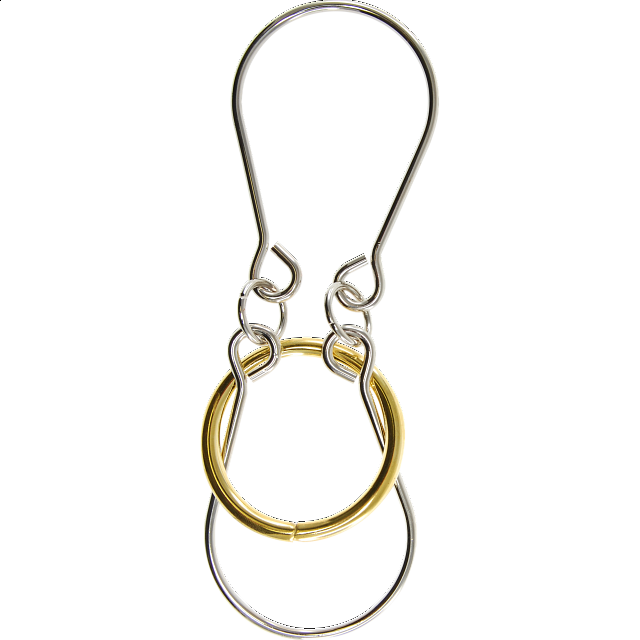 The goal looks simple, just try and remove the golden ring, but it’s actually quite tricky to achieve. 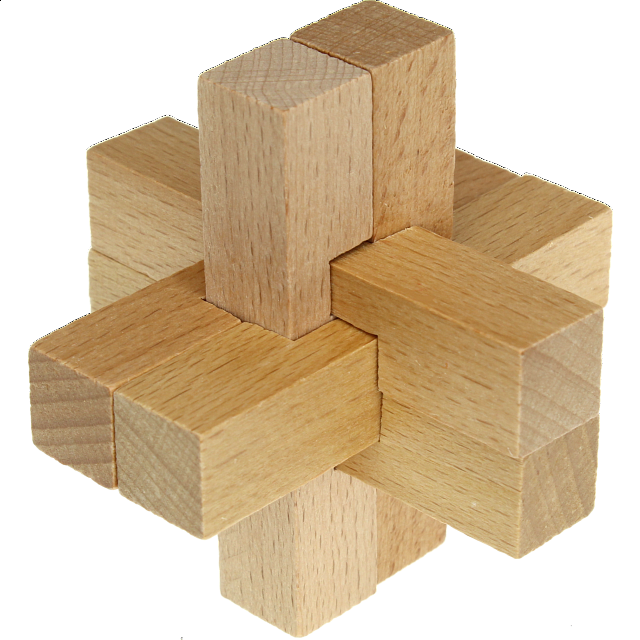 Understanding the shape of the puzzle is the key to successfully solve it. After that, try to put the ring back in its starting position. 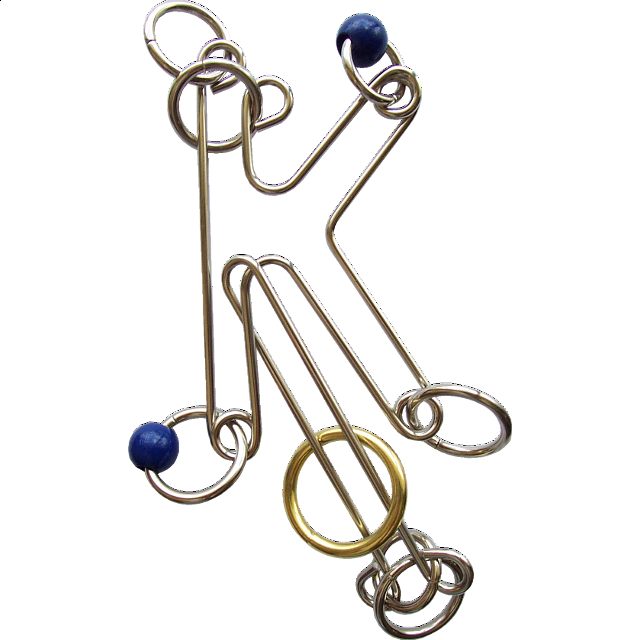 There are two other letter puzzles in our PuzzleMaster Metal Puzzle collection, The A Puzzle and the Blue Knight. It comes packaged in a convenient and reusable clam shell. Mosquito Remove the stringTo master this Mosquito could be as hard as catching a real one. 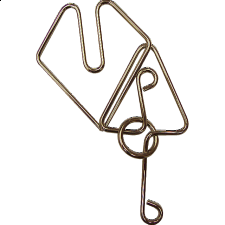 Made from nickel plated wire to make it easier to handle, the object of the puzzle is to be able to remove the string and put it back afterwards. 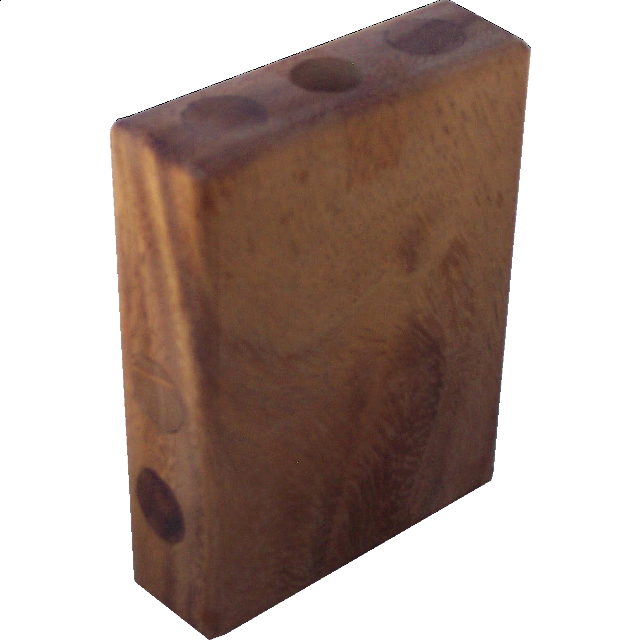 The design is quite original and to solve it you must take advantage of its unique features. Comes packaged in a Clam Shell which is perfect to store it. 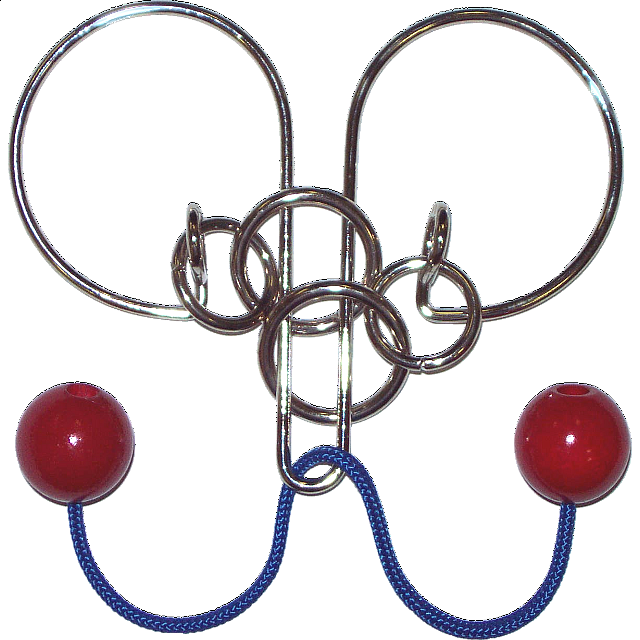 From our collection of PuzzleMaster Wire puzzles. Cupid's Dart Remove the stringDon’t let the cute name and design fool you. This can be a really tough challenge. 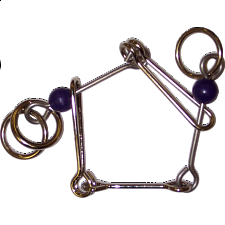 Made with 3mm wire and nickel plated, this puzzle can withstand almost anything, even frustration. Can you find a way to remove the string and then put it back as it were? 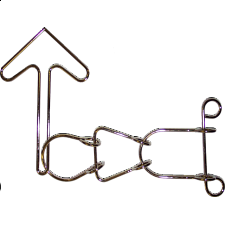 The two rings can’t move much around, but the top of the arrow slides freely up and down. Take advantage of these characteristics to successfully solve it. 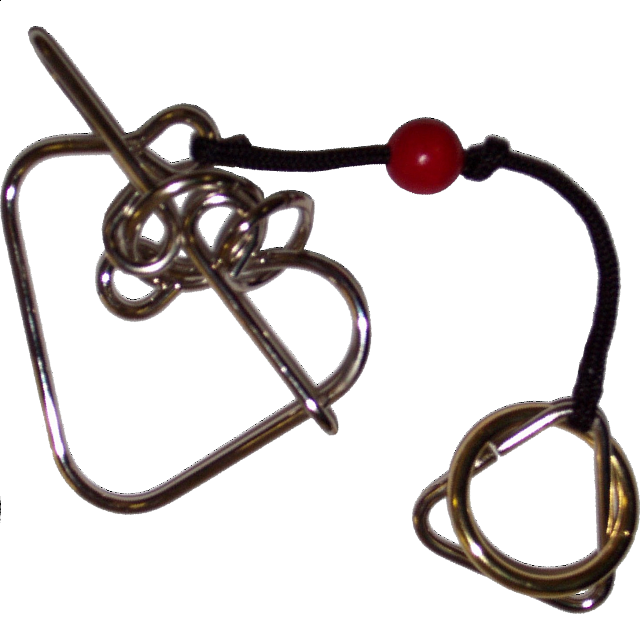 The Cupid’s Dart is one of many Wire Puzzles found in our PuzzleMaster selection. Cowboy's Hobble Remove the ringA 40 year old classic, the Cowboy’s Hobble is a reminder of how simplicity in a puzzle’s design can be mistaken by easiness. Made from nickel plated wire and rope, this gruelling puzzle will challenge your wits as you try to remove the ring from the string. 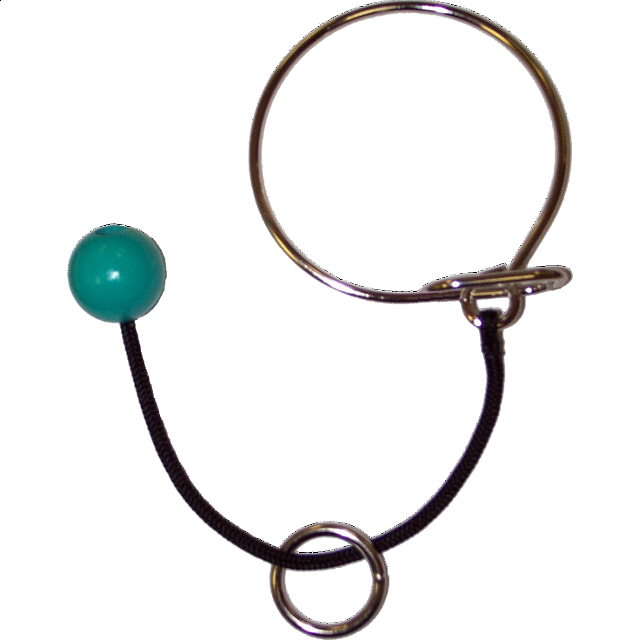 To make matters worse, the bead is larger than the ring’s width and it can’t go past the wire loop. Be careful not to make unnecessary knots. 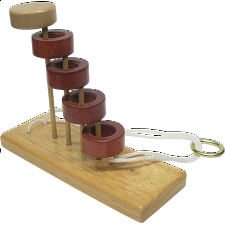 Designed by James Dalgety in 1971, who owns one of the largest mechanical puzzle collections in the world. 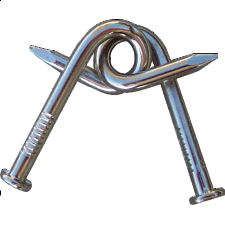 Also known as “The Manacle” and “The Ball and Chain”, as marketed by Pentangle in 1972 and 1974 respectively. Winner of the London Design Centre Award in the 1970’s. 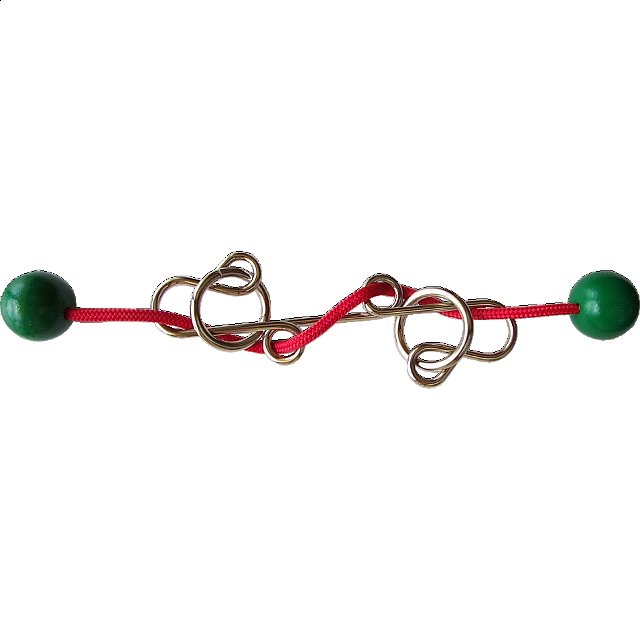 From our PuzzleMaster Wire Puzzle Collection. 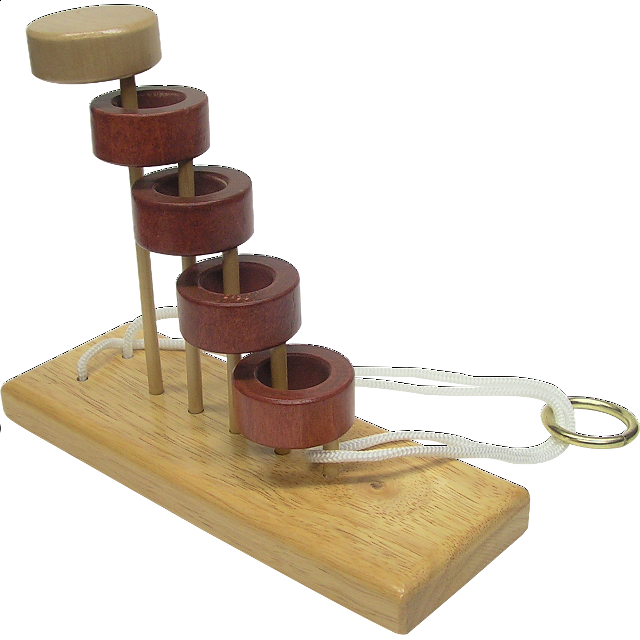 Rat Race Life can become a "Rat Race" at times but this Rat Race puzzle may not be as tough as life. The objective is to remove the handle piece from the frame. Mirror Image Remove the handleOur own version of a classic wood puzzle, made from 3mm nickel plated wire. 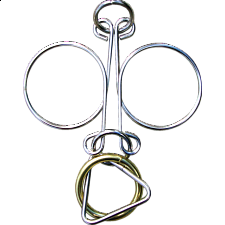 The object, contrary to what it appears, is to remove the handle, not the string. 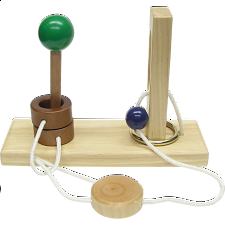 You can’t simply pull on the handle, as the string is tied to it and has a bead attached to complicate matters worse. 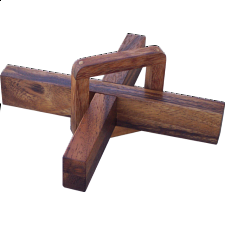 A very well designed puzzle with a symmetric frame, hence the name Mirror Image. 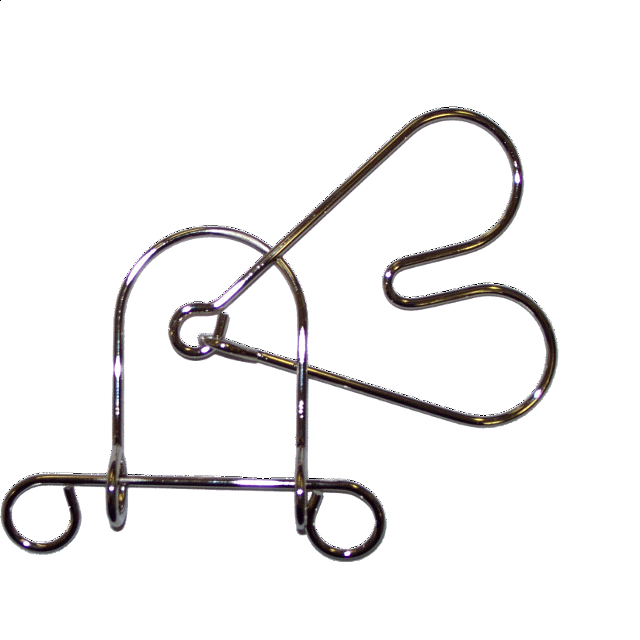 Produced at our PuzzleMaster shop in Canada for our own brand of Wire Puzzles. 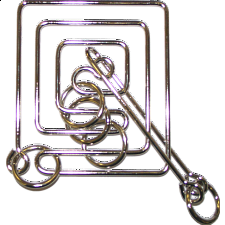 Fantastic Five Remove the ringMade from 3mm nickel plated wire, this challenging pentagon will have you wishing you’d never picked it up. 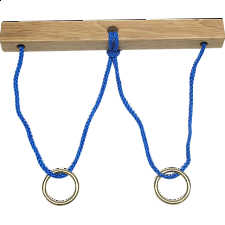 The object is to remove the golden ring from the frame, but for that you’ll need to learn new skills, as you try to find the correct sequence of movements. 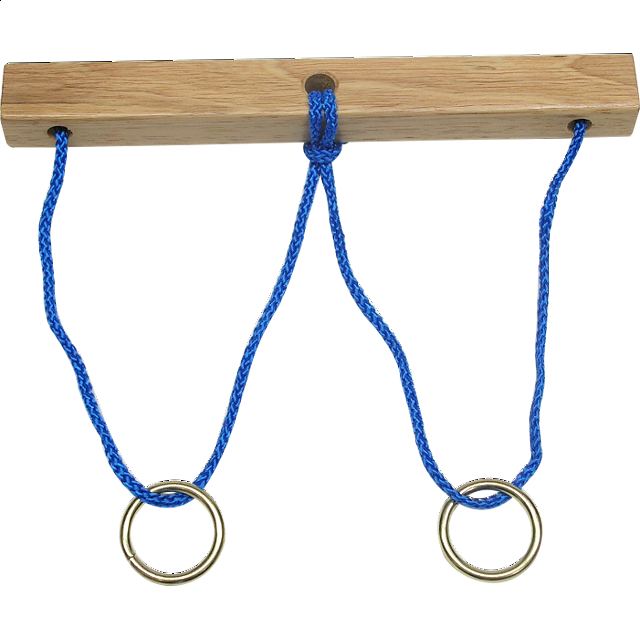 For an extra challenge, try to return the ring to its starting position. A perfect gift for an experienced puzzler. 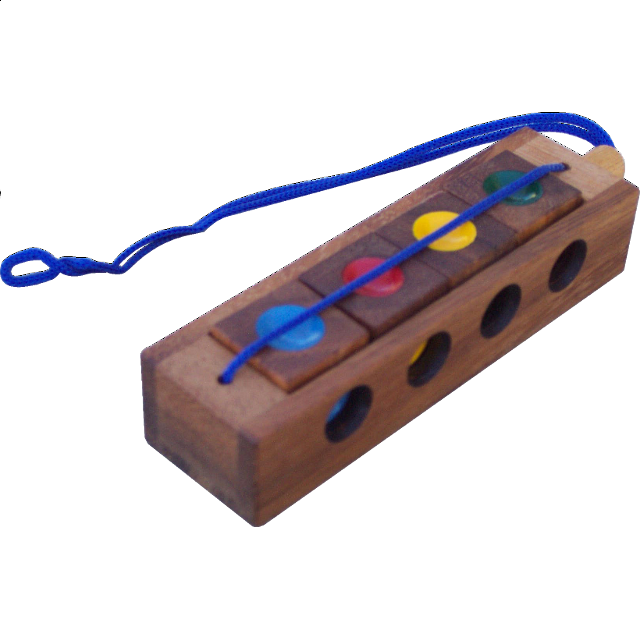 The Fantastic Five belongs to our wide range of PuzzleMaster Wire Puzzles and comes in reusable clam shell packaging. 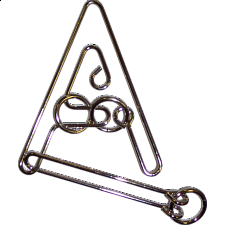 Annihilator Remove the handleA fiendish puzzle made from 3mm nickel plated wire and rope, the Annihilator is amongst the hardest puzzles in our collection. This time you won’t be removing the usual string, only the handle instead. The string will be blocking most of your movements, so you need to discover which ones it doesn’t. Remember how you solve it, since you’ll need to learn the correct moves to put the handle back in its original position. Manufactured at our PuzzleMaster shop in Canada. Infinity Remove the stringYou won’t have to go to the infinity and beyond to solve this puzzle, but you might get close. 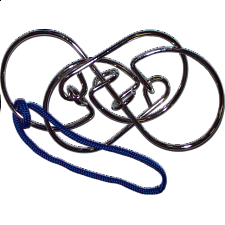 Made from high quality nickel plated wire for smoother handling, the Infinity puzzle requires you to remove the string from the symmetric frame through a series of planned movements. 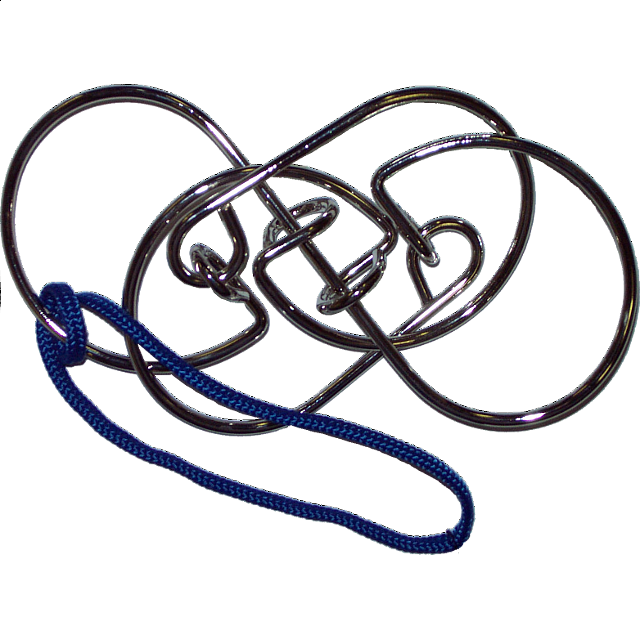 It’s very easy to end up with unwanted knots, so be extra careful when solving it. 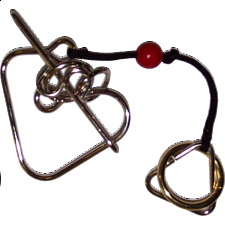 Made at our PuzzleMaster shop in Canada for our Wire Puzzle collection. Parallel Dimensions Remove the ringIf you thought parallel dimensions was a thing of science-fiction, you need to try and solve this puzzle. Made from 3mm nickel plated wire, for a smoother and shinier look. The object is to remove the string, but to make things more complicated there’s a cube and a bead attached to both ends of the rope that won’t get through the wire openings. 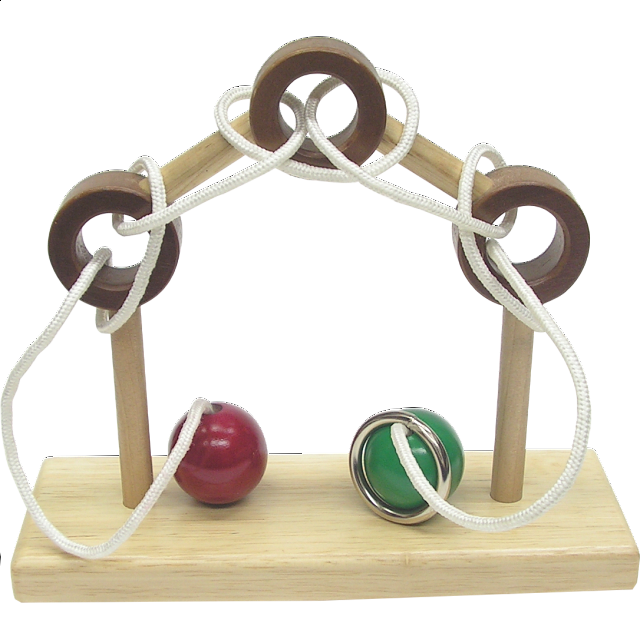 A very difficult puzzle from our own brand of PuzzleMaster Wire Puzzles. Arrow Dynamics Remove the arrowYou don’t need a degree in aerodynamics to study the motions of this puzzle. 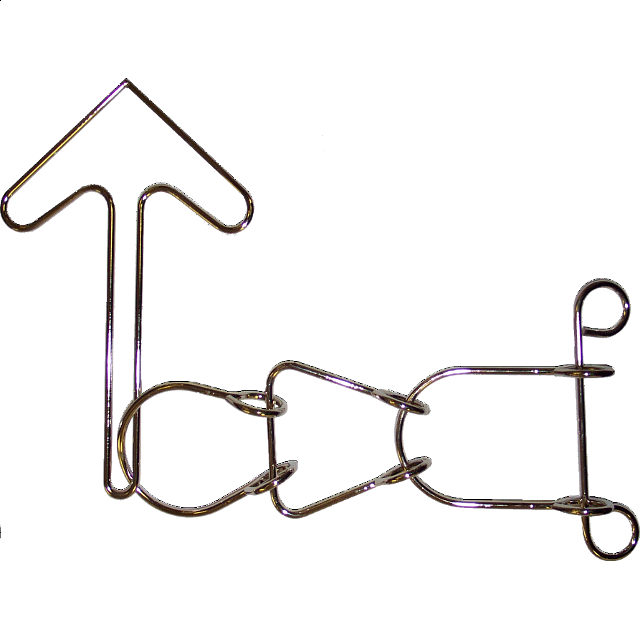 Made from nickel plated wire, the Arrow Dynamics is one of our hardest wire puzzles. The goal is to remove the arrow from the wire frame, but with over two dozen sequential moves it won’t be an easy task. Can you return the arrow to its original position afterwards? 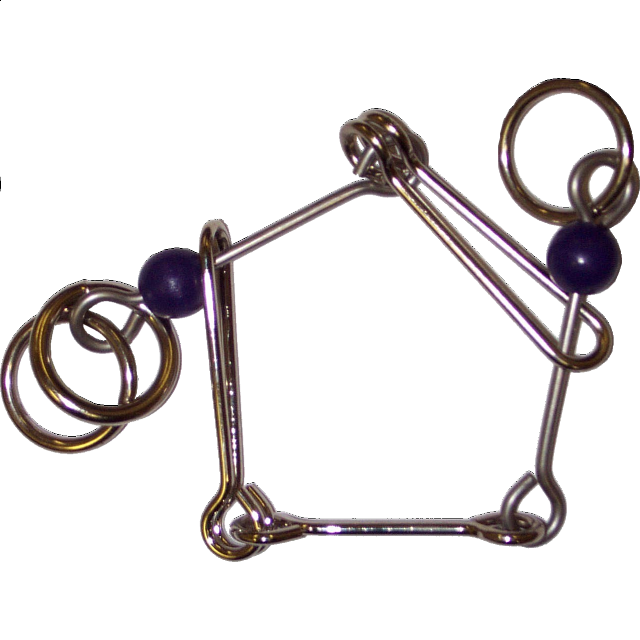 The Arrow Dynamics is from our brand of Wire Puzzles, PuzzleMaster. 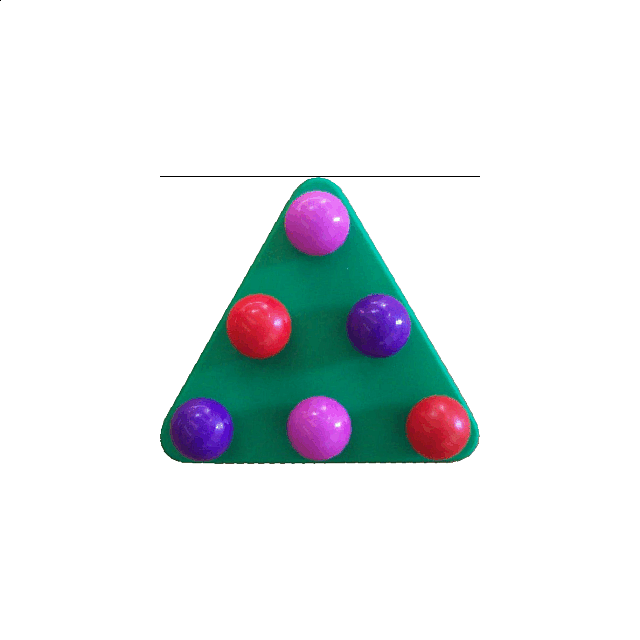 Tree Puzzle Remove the handleA different take on the classic Chinese Rings puzzle. 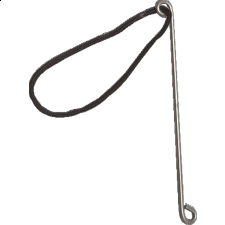 Manufactured using strong 3mm nickel plated wire, the object is to free the handle from the frame. With over 80 moves, your task will be extremely complicated, especially if you want to put the handle back in its starting position, since you need to learn the correct sequence. 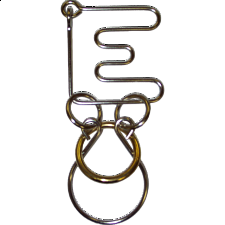 One of the most difficult puzzles in our PuzzleMaster Wire Puzzle collection. Tangled Nails Separate the nailsThe Tangled Nails are actually two regular nails bent and entangled together. The object is to just find a way to separate them. 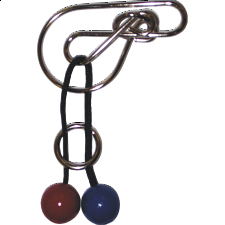 As an added challenge, try to entangle them back again, which can be even harder. 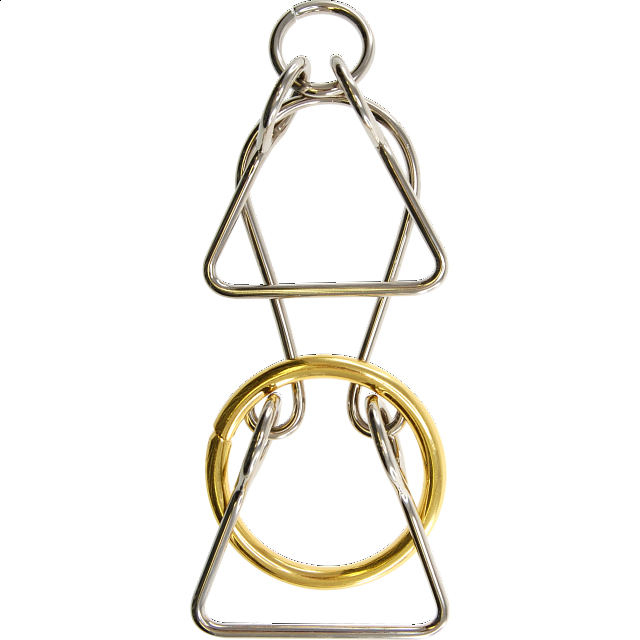 This simple and yet fascinating design uses two identical pieces and the solution is based on a beautiful symmetry. The Tangled Nails are from our own PuzzleMaster brand and come packaged in a Clam Shell. 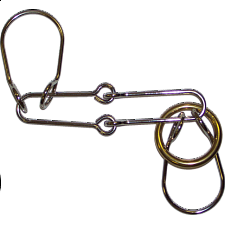 Buttonhole Puzzle Attach and remove the puzzle from a buttonholeHow can a small puzzle with a piece of string and wire be so challenging to solve? You will never look at a shirt the same way again. The first step is to attach the puzzle to any regular buttonholes on a shirt. After the puzzle is set-up, preferable by another person, try to remove the Buttonhole Puzzle from the shirt. 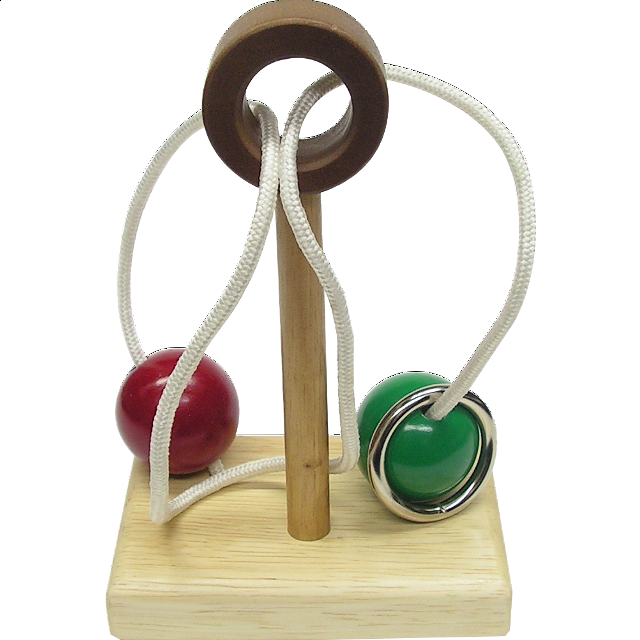 A classic puzzle that is so simple and yet can be quite frustrating. 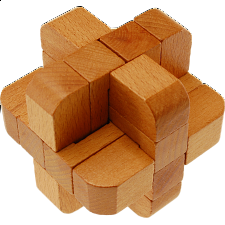 The Buttonhole Puzzle is from our own brand, PuzzleMaster and comes in a clam shell packaging. 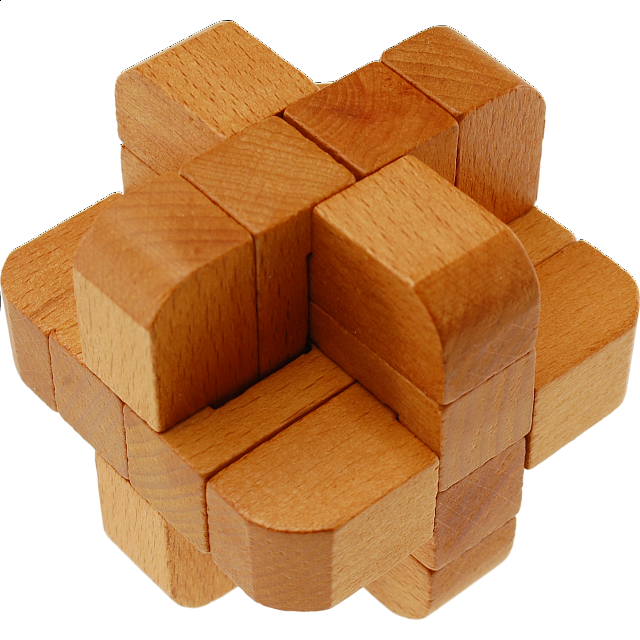 Rattler Uncoil the cubes into a straight line and reassemble the cube.This is a Well made wooden puzzle. 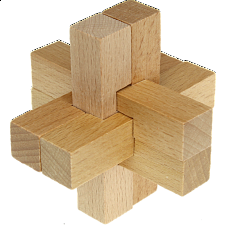 All the pieces of this cube are connected.Your goal is to pull the cube apart to make a long criss cross line then make it back into a cube again. X Marks the Spot Take the wooden X apart. 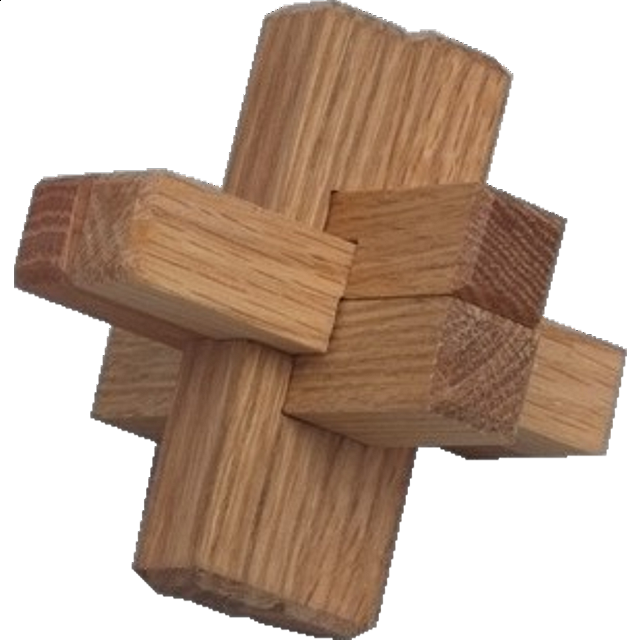 Enigma - Wood Puzzle Disassemble and reassemble the wooden pieces. DNA Position the wooden cubes so that each side has all 4 colors. Mayhem Disassemble and reassemble the wooden pieces. Riddler Disassemble and reassemble the wooden pieces.Well made, 12 piece, wooden puzzle that will make a great puzzle to put on your coffee table. King Cobra Remove the diamond shape.Don’t get bitten by this cobra. The King Cobra is made from nickel plated wire with a thickness of only 3mm. The only way to solve this puzzle is by removing the cobra’s head, the diamond shape. 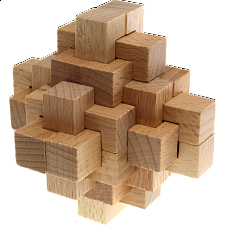 The difficulty of the puzzle is the lowest on our scale which is a good start for beginners and a great learning tool for progressively harder levels. The King Cobra comes in a clam shell packaging, reusable and ideal for storage. 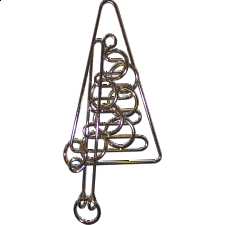 It’s also from our own brand of PuzzleMaster’s Wire puzzles. Man Of War Remove the StringMade using strong 3mm nickel plated wire, your task is to free the string from the frame, but as a level 10/10 be prepared for some frustration along the way. Man of War was a term coined by the British Royal Navy to describe a warship, and the shape of the puzzle depicts beautifully one of them. 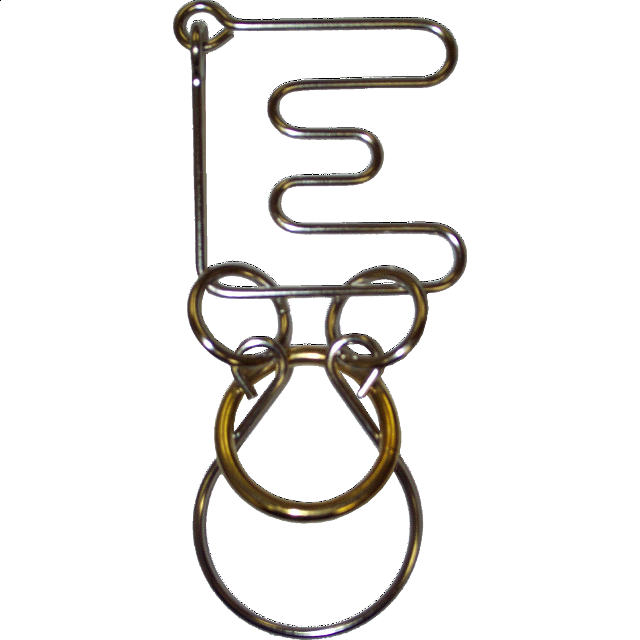 A fascinating puzzle from our collection of PuzzleMaster Wire Puzzles. Comes in a reusable Clam Shell packaging. 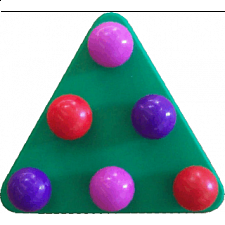 Tricky Triangle Assemble the marbles on the board.Looking at this puzzle you would think it is very easy. But inside each piece there is a magnet. Trying to stop the magnets from repelling each other is harder than you think. Blue Knight Remove the RingMade from high quality nickel plated wire, this Blue Knight can put up a fight. Can you block his attacks by removing the golden ring? All those other rings look intimidating, but with determination nothing is impossible. 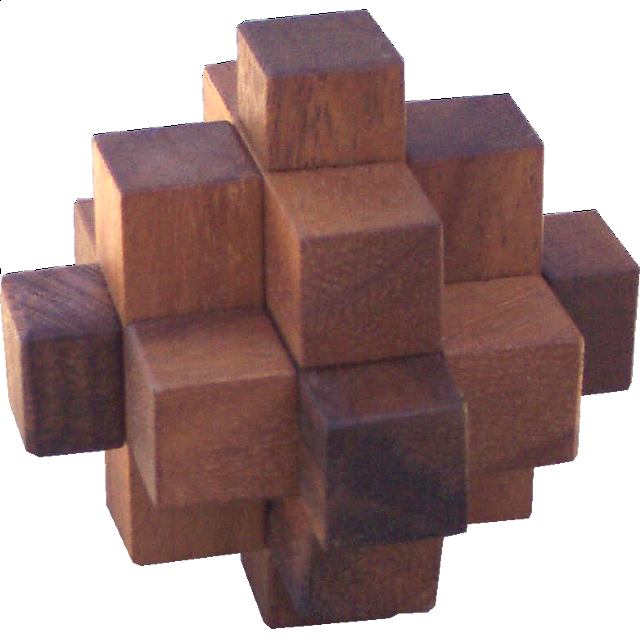 Just shy of the highest difficulty level, this puzzle is only for serious puzzlers that want a real challenge. From our collection of PuzzleMaster Wire puzzles, the Blue Knight is packaged in a clam shell, easy for storage. 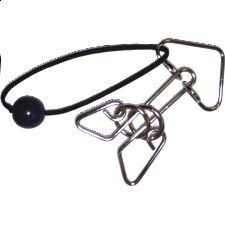 Sidewinder Remove the stringMade from sturdy wire with a nickel plated finish, it can withstand a strong force, although it’s not needed to actually solve the puzzle. The goal of the Sidewinder is to remove the red string from the wire frame and then to put it back as it were. 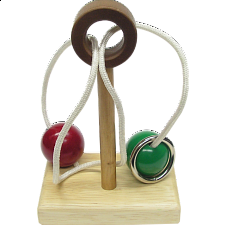 With a mix of string and wire, the puzzle is extremely difficult to solve, since it requires a sequence of complex moves to free the string. Solving this puzzle, however, is very rewarding, leaving you with a real sense of accomplishment. 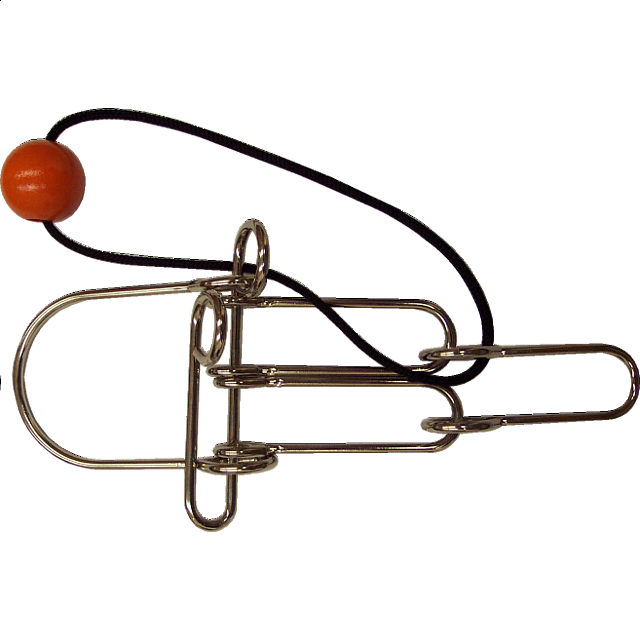 The Sidewinder is from our own brand of wire puzzles and comes in a reusable clam shell packaging, ideal for storage. Trick Lock 1 Open the LockMade from solid metal, this Trick Lock is more complex than it appears, and unlike regular locks, a key is not the only answer. 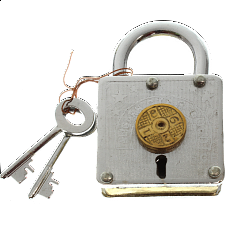 The hidden mechanism is deceiving and requites a more careful inspection to unlock it. The lock comes with a spare key in case one gets missing… or broken. 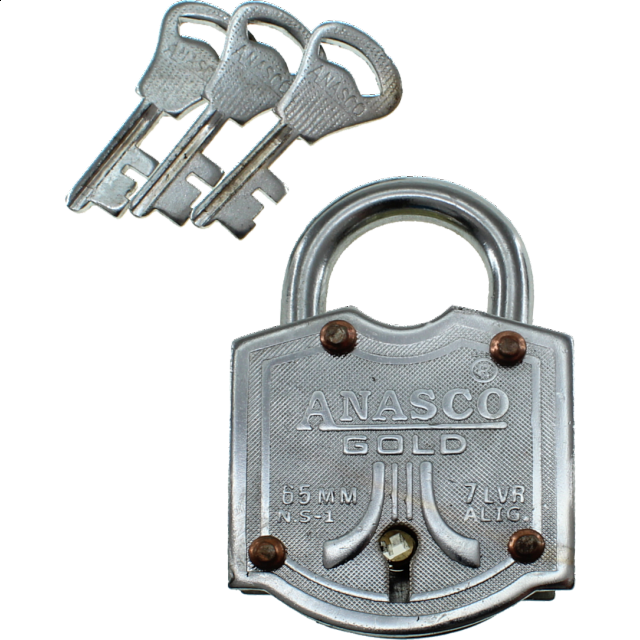 This collection of Trick Locks is produced at our PuzzleMaster shop, in Canada. 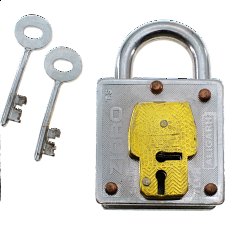 Trick Lock 3 Open the LockOur Trick Locks are made from resistant and high quality metal, just like the real thing. The goal, as you might expect is to find the secret to unlock it. 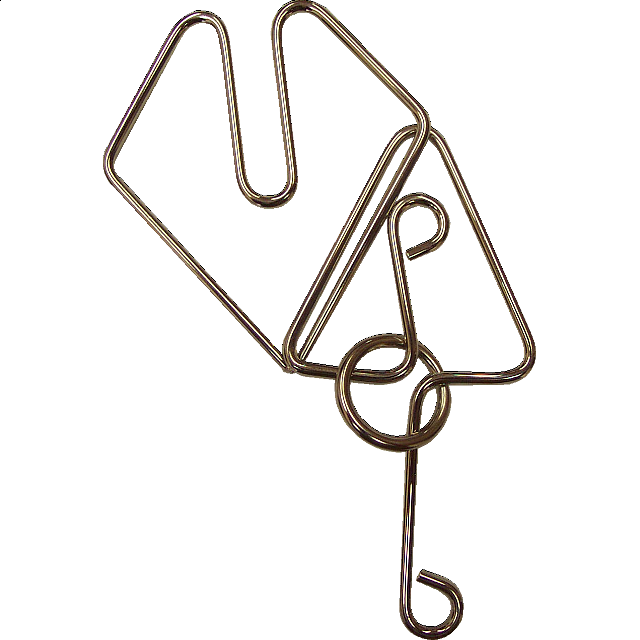 The design of the puzzle is quite unique and unusual, even for a Trick Lock, consisting of two keyholes and two identical keys. The Trick Lock 3 is the third of five versions in our PuzzleMaster Trick Lock collection. Trick Lock 4 Open the LockDon’t be fooled by the set of keys provided with this metal lock. It’s not as straightforward as it looks. The object is to find the correct moves to open the lock. This lock is slightly different from the others in our collection, featuring a numbered dial which makes you feel like you’re breaking a safe. While its difficulty level is accessible for beginners it still needs a keen sense of observation and perseverance. The Trick Lock 4 is from our PuzzleMaster Trick Lock collection.